DETROIT -- Under pressure from federal regulators, airbag manufacturer Takata Corp. has asked rival suppliers if they can help produce replacement inflators for the company’s customers. 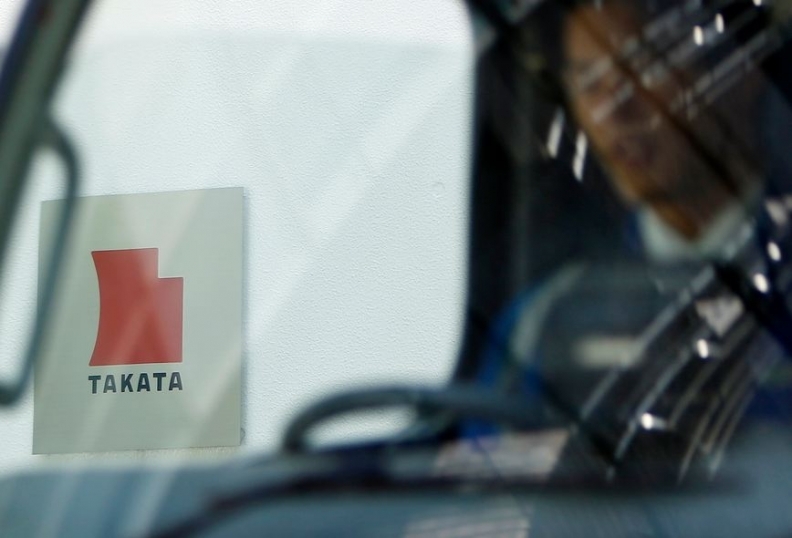 In an e-mailed statement, company spokesman Alby Berman said Thursday that the company “is looking at several other options” in addition to expanded production at Takata’s own plants. One alternative is to out-source production to rival suppliers. TRW Automotive, the industry’s third largest producer of inflators, confirmed this week that it has been approached by Takata. Likewise, during an Oct. 23 conference call with analysts, Autoliv CEO Jan Carlson hinted that the company might also produce some extra inflators. “We have seen some business coming our way as a result out of this situation,” Carlson said. But it’s not clear as yet how much spare capacity Autoliv has to offer. “We are evaluating our capacity to determine how we can best support our customers and consumers,” said Thomas Jonsson, Autoliv’s vice president of corporate communications, in an Oct. 30 e-mail to Automotive News. Honda Motor Co., Takata’s largest customer, already has moved some inflator business to Daicel Corp. -- the No. 4 global producer of inflators -- according to a Reuters report on Oct. 18. If so, then Takata’s three biggest rivals -- Autoliv, TRW and Daicel -- could take some inflator business from Takata. Takata is under the gun because its plant in Monclova, Mexico, can’t keep up with demand for replacement inflators. In a Sept. 16 report to the agency, Takata disclosed that it expected to produce 1.47 million inflators through February. That would appear to be short of the number required to supply 10 automakers that have issued recalls. In an e-mailed response to Automotive News, Honda spokesman Chris Martin said the automaker’s “regional safety improvement campaigns” in 11 U.S. states and territories will include 2.8 million vehicles. However, Martin noted that the stock of replacement inflators will be sufficient to repair vehicles in four states and territories that share hot, humid climates -- NHTSA’s top-priority recall region. “At the typical customer response rate, we should be able to satisfy parts demand into the foreseeable future,” Martin wrote. He added, “We are working to procure parts for the remaining vehicles” outside that region. Mindful of a likely shortage of replacement inflators outside its top-priority region, David Friedman -- NHTSA’s deputy administrator -- is prodding Takata to get help from its competitors. But if other suppliers produce inflators, the automakers will have to test them to make sure they work properly.